As the guardian of Harrow County, Emmy is not surprised that someone has come to ask for her help. But she is surprised that her visitor is a haint! Someone (or something) has been attacking Harrow County's supernatural residents, and Emmy is surprised to learn that one of her oldest friends may be turning against her. While Emmy has been focused on dealing with threats from the outside world, perhaps a much bigger problem has been brewing at home. 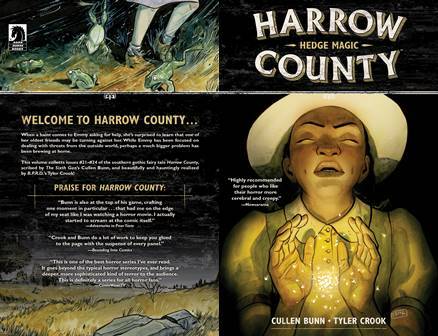 This paperback collects issues #21-24 of the award-winning horror comic Harrow County.